While nature offers endless richness of precious molecules for human fitness and beauty, these are fragile and easily altered by extraction processes. GREENTECH has patented an innovative technology: the CRYO-EXTRACTION of fresh plants. This process enables the solvent-free sampling of the plant’s natural juice in its highest purity and integrity, and to recover its active ingredients with optimal efficacy: their biological activity is 5 to 10 times greater than that of dried plant extracts! 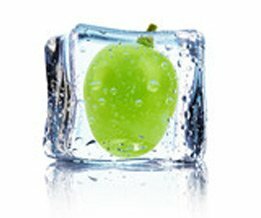 From the picking of the plant to lyophilisation, all steps are performed at a very low temperature, thereby preserving the plant’s most fragile components: enzymes, vitamins, polyphenols, etc. Another novelty of GREENTECH is the use of gemmotherapy, harnessing all of the power of the plant with a concentrate of nourishing and regenerating substances. Native juice in liquid form. The native juice in its highest concentration, in the form of a lyophilised and micronised powder. • A range is also offered for the food and nutraceutical industries: the Stabilised Living Plants (lyophilised powder). The skin is a complex system, built on many complementary biological processes, acting at different levels. GREENTECH has therefore developed a range of COMPLEXES, notably the famous PHYTELENES, which are cocktails combining plants and/or algae with recognised activity; their individual efficacy is enhanced by a synergistic effects on the different physiological targets of the skin tissue. Very easy to formulate thanks to a large diversity of pure or mixed solvents, they are prepared by extracting 5 to 20% of the dry plant and can be concentrated on demand. GREENTECH offers several tens of extracts of algae, micro-algae and marine plants issued from various oceans and seas, and close to 3 000 terrestrial plant products from all latitudes. Other products can be developed upon simple request. These extracts and macerates, which use a stable oil base, enable the presence of active ingredients only possible with a liposoluble medium extraction; they provide a synergy of actions between the oily and aqueous phases.